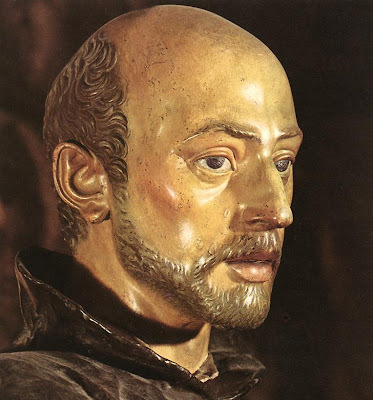 Saint Ignatius of Loyola: "do everything for the glory of God"
... I try to please everyone in every way, not seeking my own benefit but that of the many, that they may be saved. "Do not swear whether by the Creator, or any creature, except truthfully, of necessity, and with reverence" (Spiritual Exercises, 38). Saint Peter Chrysologus: "speak to the people"
"Where did this man get such wisdom?" "We ask God to hallow his name, which by its own holiness saves and makes holy all creation . . . . It is this name that gives salvation to a lost world. But we ask that this name of God should be hallowed in us through our actions. For God's name is blessed when we live well, but is blasphemed when we live wickedly. As the Apostle says: "The name of God is blasphemed among the Gentiles because of you." 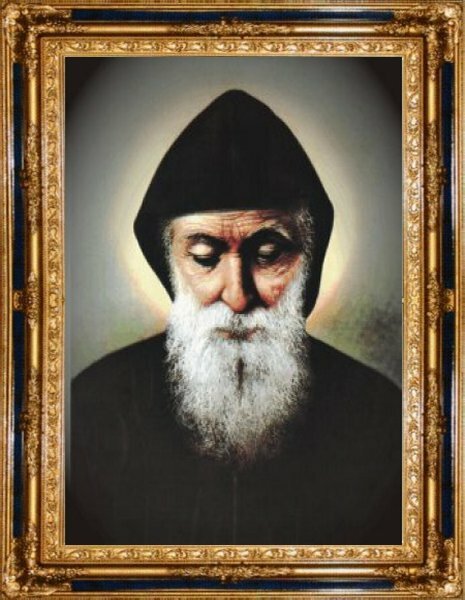 We ask then that, just as the name of God is holy, so we may obtain his holiness in our souls." "The Father in heaven urges us, as children of heaven, to ask for the bread of heaven. [Christ] himself is the bread who, sown in the Virgin, raised up in the flesh, kneaded in the Passion, baked in the oven of the tomb, reserved in churches, brought to altars, furnishes the faithful each day with food from heaven." "A large crowd followed him, because they saw the signs"
Look around you at the empty places in the pews, where someone else once sat. Where are they now? Have they ended their earthly pilgrimage perhaps and met the Lord Himself? Or perhaps, sadly, they have fallen away and no longer seek Him here. These are the "large crowd" who still seek God only for the signs of health, or wealth or other earthly satisfactions which do not last. These are the ones who claim to "follow Him" but do not find themselves here with us today. From 5,000 to 12 by means of 7. Today's Gospel takes us back to Moses and the Chosen People in the desert through the living Word of Life and through the sacramental encounter, particularly in the Eucharist, to the present and the remnant people we see today. 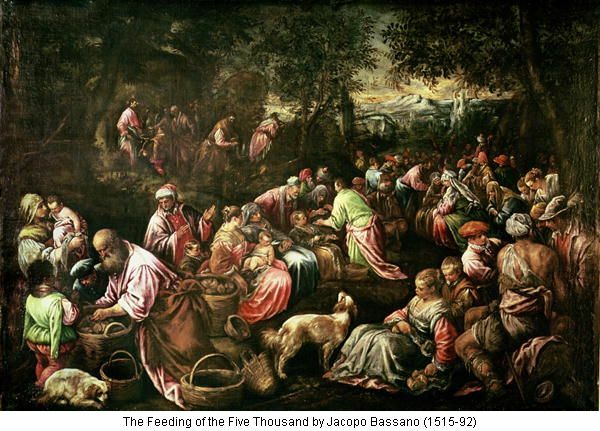 The five loaves which harken back to the manna by which God fed Moses and his 5,000 together with the two fish which represent Moses' fulfillment in Christ, true God and true Man, make seven which signify perfection. The seven sacraments are the signs and sources of perfect and Eternal Life which is found only in Jesus Christ through His Church, in which is now found the remnant people of the twelve tribes of old built anew upon the twelve Apostles. Christ and the 5,000, not including women and children, who spontaneously followed Him to the other side of the sea of Galilee with no thought for their next meal, are a reminder of the first 5,000 who, with Moses, were brought out of the Red Sea and fed with the manna from heaven as a remnant saved by God's intervention. Once satisfied with earthly food the Galileans remind us also of the Chosen People in their search for signs, for the account ends with Christ eluding their grasp because they seek to make him a mere earthly king. They have failed to seek and to possess Jesus Christ through the power of Faith and the source of the loaves and fishes. "Then Jesus took the loaves, gave thanks, and distributed them"
The Eucharist to which Jesus points in the Gospel, taking bread, giving thanks and distributing it as He does to the people, is one of the seven means by which we grasp Jesus now, not as a source of mere earthly food but rather as the One who is our Bread for life eternal. This is why He teaches that the Eucharist is no ordinary bread like the manna in the desert or the meal for the 5,000 in today's Gospel but rather His Body and Blood, really and substantially present. And the twelve baskets full? God's love abundant and meant for all. 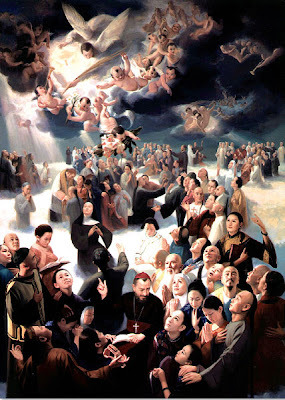 Not only for us who are here now but for all mankind, including those who have fallen away from the chosen people of today which is the Church built upon the twelve Apostles in her pilgrimage through the desert of this world which can never itself be the source of true Life found only and ever in God. And this Eucharistic banquet which the Lord established is the moment in which we seek Him, coming forward as we do at the Communion of the Mass with reverence in worship to receive Jesus Christ the eternal Bread and Source of Life. "Since Jesus knew that they were going to come and carry him off to make him king, he withdrew again to the mountain alone." Idolatry seeks a god in this world who cannot truly give what we really need who is God, the only source of all that is good. If we seek the divine Son always in Faith He will not elude our grasp but rather will be for us the Source of Life who leads us safely to the eternal banquet of overflowing love and joy in the place prepared for us by our heavenly Father. We follow Him faithfully in the Church and her sacramental life. Friday, Week 16: "Return, rebellious children"
Let all follow the bishop, as Jesus Christ follows his Father, and the college of presbyters as the apostles; respect the deacons as you do God's law. Let no one do anything concerning the Church in separation from the bishop. 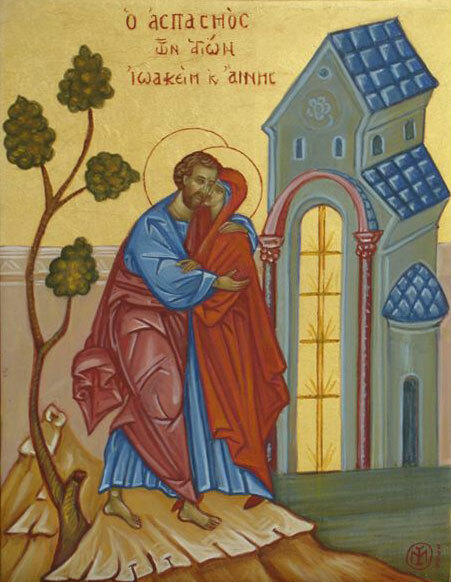 Ss Joachim and Anne: "how you loved me as a bride"
"But blessed are your eyes, because they see, and your ears, because they hear. Amen, I say to you, many prophets and righteous people longed to see what you see but did not see it, and to hear what you hear but did not hear it." "The 'splendor of an entirely unique holiness' by which Mary is 'enriched from the first instant of her conception' comes wholly from Christ: she is 'redeemed, in a more exalted fashion, by reason of the merits of her Son'. The Father blessed Mary more than any other created person "in Christ with every spiritual blessing in the heavenly places' and chose her 'in Christ before the foundation of the world, to be holy and blameless before him in love'." S James: "We hold this treasure in earthen vessels"
S Sharbel Makhluf: "Shepherd your people"
... whoever does the will of my heavenly Father is my brother, and sister, and mother. People react in various ways when the Pope or the bishops act to correct erroneous teachings. Whether a representative of the Pope investigates the Church in Ireland, the US bishops censure the LCWR, an organization which represents religious sisters, or if Rome makes a statements about the errors in a theology book, some people react with anger or incomprehension. Perhaps they think that people were treated with insensitivity in these cases. But it is precisely because the Church has sensitivity for all of God's faithful people that such actions are taken. The words of the Lord Himself in today's Gospel explain why: "Woe to the shepherds who mislead and scatter the flock of my pasture". You see, the Church does not belong to any human person or leader, but rather the members of the Church belong to the true Shepherd, Jesus Christ, who calls them, and us, the "flock" of His "pasture". The Lord continues to be the Shepherd of the flock through the teaching office of the bishops and the priests in collaboration with them. What is the food upon which the Lord nourishes us? How does Christ keep the flock as one in unity? He feeds us with Himself in the Eucharist but also with the truth through the Church's teachings in faith and morals through the ministry of His duly appointed bishops. And the bishops, the overseers He has appointed for the people of His flock, have been sent by Him to teach the truth in order to both feed the flock and build up the flock in the unity of His love. Bishops ordain priests to collaborate with them in their ministry of serving the life and Faith of the Lord's flock. "It is the same priest, Christ Jesus, whose sacred person his minister truly represents. 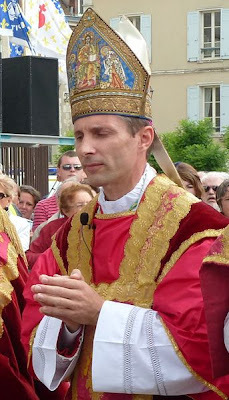 Now the minister, by reason of the sacerdotal consecration which he has received, is truly made like to the high priest and possesses the authority to act in the power and place of the person of Christ himself (virtute ac persona ipsius Christi). One who will teach truth must always be ready to correct error by admonishing those who refuse to be corrected by the truth. Please pray for our bishops that they will always have the love inspired by the Lord Himself to teach also by correcting errors in that same love. 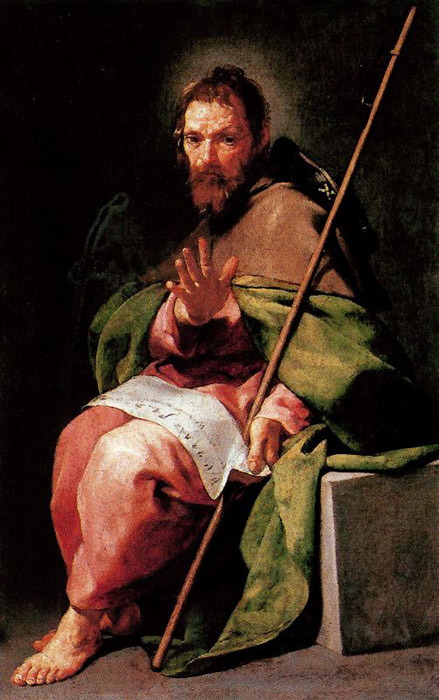 Saint Lawrence of Brindisi / Saturday, Week 15: "Woe to those who plan iniquity"
You are the salt of the earth; but if the salt loses its strength, what shall it be salted with? It is no longer of any use but to be thrown out and trodden underfoot by men. You are the light of the world. Saint Jerome Emiliani / Friday, Week 15: "I desire mercy"
Share your bread with the hungry...if you bestow your bread on the hungry and satisfy the afflicted; then light shall rise for you in the darkness, and the gloom shall become for you like the midday; then the Lord will guide you always and give you plenty even on the parched land. He will renew your strength, and you shall be like a watered garden, like a spring whose water never fails. How can we not recognize Lazarus, the hungry beggar in the parable (cf. Lk 17:19-31), in the multitude of human beings without bread, a roof or a place to stay? How can we fail to hear Jesus: "As you did it not to one of the least of these, you did it not to me" (Mt 25:45)? Thursday, Week 15: "Take my yoke"
learn from me, for I am meek and humble of heart; and you will find rest for yourselves. Wednesday, Week 15: "I give praise to you, Father"
for although you have hidden these thingsfrom the wise and the learnedyou have revealed them to the childlike. Tuesday, Week 15: "Jesus began to reproach the towns"
where most of his mighty deeds had been done,since they had not repented. If we were to take our cue from the culture around us, what would we be celebrating today? Most likely “Bastille Day” would be the number one “party excuse”, as some like to put it. “Liberty, Equality, Fraternity”: now who could possibly be against those things? As a matter of fact, many around the world continue to claim personal and national inspiration from this battle cry of the French Revolution. In fact, however, these three ideals were advanced in the name of the Revolution and against the Church and our holy Catholic Faith. These principles were used against the superior rule of God our Creator and Lord and our Redeemer who, in and through Christ, chooses to advance His holy will in and through the Church down the ages and until the end of time. For a period a statue of the so-called "Goddess of Reason" was ensconced in a place no less sacred than Notre Dame cathedral in Paris until such time as the reason of God put Faith back in its proper role in French society. Some people say that as long as Catholics can gather inside a church for Mass than all will be well. Not so. others through the whole Gospel which is the only grace that satisfies the needs of every human person through active charity by which He becomes incarnate again in you and in men as a fruit of His saving love by which calls sinners to repentance so as to know, love and accept salvation in Him as the source of these blessings. 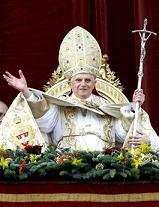 Cardinal George of Chicago warns us that the “HHS mandate will mean an end to Catholic hospitals, clinics, charities”. These good works are the way in which Christ is present to the world at large, continuing His presence in love beyond the walls of our churches and the visible confines of the Body of Christ so that all will come to know Him through His saving love and answer His call to Eternal Life. Cardinal George answered some questions in regard to the mandate and the assault on religious liberty that gives rise to it. 1) secularize itself, breaking its connection to the church, her moral and social teachings and the oversight of its ministry by the local bishop. This is a form of theft. It means the church will not be permitted to have an institutional voice in public life. 2) Pay exorbitant annual fines to avoid paying for insurance policies that cover abortifacient drugs, artificial contraception and sterilization. This is not economically sustainable. 3) Sell the institution to a non-Catholic group or to a local government. 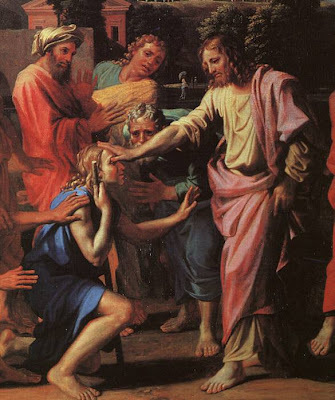 We know and we believe that to create a toxic environment for Catholic charitable works of any kind is to attack the healing and serving ministry of Jesus Christ today. Jesus Christ sends us out to show the Gospel by our works of charity. These are not options but rather necessary to the way of life He showed us Himself as he walked this earth. Imitating Him is part of the fullness of life which begins now in love and continues forever in heaven. We "preach repentance" with His Eminence Cardinal George and all of our bishops because in Jesus Christ we call all men to salvation. This call to repentance begins in the simple acts of feeding the hungry, sheltering the homeless, and all the charitable works of the Body of Christ. The bishops stand in the place of Christ today as they send us out to serve the world through the truths of the Gospel in word and action. Joining the struggle against the HHS mandate and in favor of religious freedom is nothing more than proclaiming Christ and His saving love to a world as much in need today as that moment two thousand years ago which we hear about once again in today's Gospel: "Jesus summoned the Twelve and began to send them out". Jesus Christ sends you and he sends me. Will you go? Your words have moved me to respond as I do you the honor of presuming sincerity on your part. You say that my "political agenda" in last Sunday's homily, The Power of Christ as Prophet, infuriated you. Why does my defense of the poorest of the poor, the unborn, infuriate you? Is it not rather the misuse of the most powerful office in the land to actively promote the slaughter of these poorest of the poor which should infuriate you and which better deserves your attention? Are you willing to entertain even the possibility that one's decision in casting a vote to elect a particular person may be cooperation in a moral evil? Cardinal George has wisely reminded us all that "a moral matter which becomes a political matter remains a moral matter after it becomes a political matter". The Church has been given the power and authority by Christ to speak out on moral matters as well as Faith and He has made clear also that the Church does not have the option to remain silent. Thus, I speak. "Save your political opinions for another blog" you wrote. The sacredness of human life and the defense of it are not my opinions. 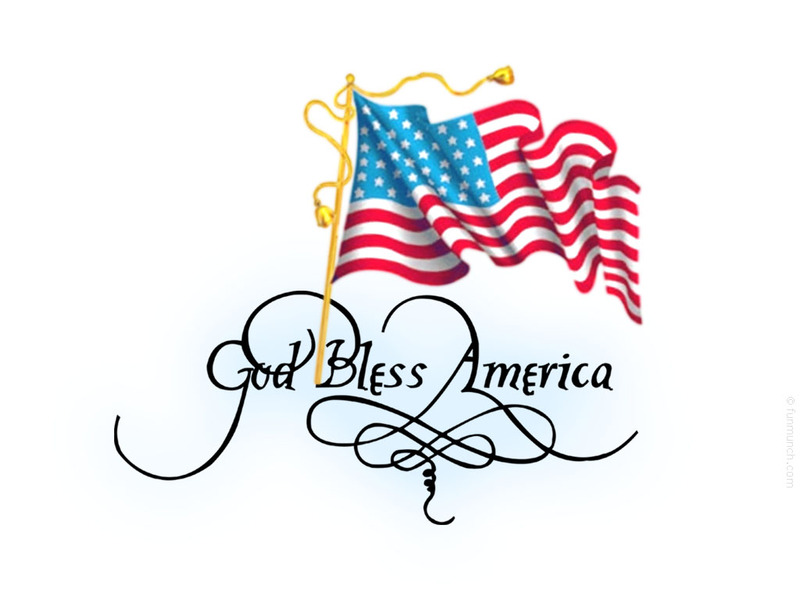 Human life is created by God and He demands that we protect and preserve human life and speak out in its defense. The opinion we should oppose is that of those persons who contemplate the taking of innocent human life for any reason whatsoever. Thursday, Week 14: "my pity is stirred"
I will not give vent to my blazing anger, ... For I am God and not man,the Holy One present among you; I will not let the flames consume you. 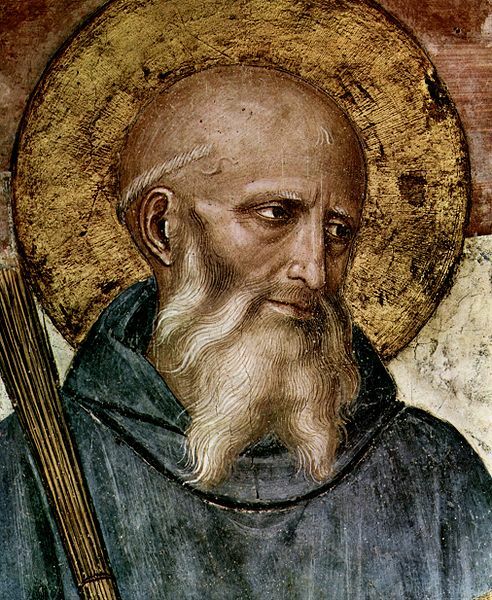 S Benedict: "We have given up everything and followed you"
"Our" bread is the "one" loaf for the "many." In the Beatitudes "poverty" is the virtue of sharing: it calls us to communicate and share both material and spiritual goods, not by coercion but out of love, so that the abundance of some may remedy the needs of others. Art: S Benedict by Fra Angelico. Tuesday, Week 14: "they made idols for themselves"
St. Augustine Zhao Rong and Companions, Martyrs: "You will be hated by all because of my name"
... you will be led before governors and kings for my sake as a witness before them and the pagans. Jesus does not reveal the Holy Spirit fully, until he himself has been glorified through his Death and Resurrection. Nevertheless, little by little he alludes to him even in his teaching of the multitudes, as when he reveals that his own flesh will be food for the life of the world. He also alludes to the Spirit in speaking to Nicodemus, to the Samaritan woman, and to those who take part in the feast of Tabernacles. To his disciples he speaks openly of the Spirit in connection with prayer and with the witness they will have to bear. Believers cannot pick their favorite "part" of Jesus Christ. We cannot love Him as God but reject Him as man, and we cannot prefer and focus on his human nature while neglecting His divinity. We must love and worship the whole Christ or we do not love Him at all. Throughout history men and women have struggled to love God. Jesus Christ was not accepted in his home town: "Is he not the carpenter, the son of Mary?" said the people who knew Him from His youth. It was not easy for them to put together both parts: the part of Jesus they could see and hear and the aspect of Jesus that He presented to them with His words of prophecy: "The Father and I are one". And as a result many rejected Him. In the history of the Church we find the same experience recurs over and over. The Christological controversies that gave rise to the Councils and the teachings on the human and divine natures of Christ are another expression of this same struggle to believe all that God reveals. What can these facts from history teach us about our own story of faith? 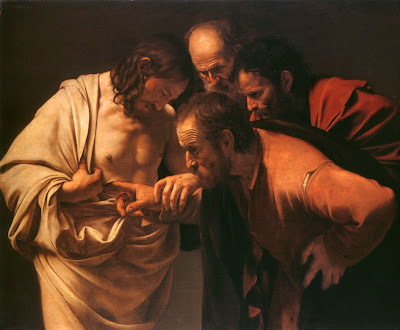 Our own flesh sometimes serves as a scandal: just as some doubted that God could be present in the flesh of Jesus Christ, so today we struggle to believe that Jesus Christ can be incarnated again sacramentally through the flesh of men and women in the Church. But the flesh is the "hinge of salvation". The flesh is weak. In the early centuries of the Church there were many Christians who fell away from the Faith when tested. They were told all that they were required to do was put some incense on a brazier to worship the false gods of the Romans and they would be spared a martyr's death and all too many took the Romans up on this offer, committing the sin of apostasy. We forget about this part of the story, or imagine it did not happen because, rightly enough, we hear much about the deeds of the Roman martyrs but we will never hear the stories of those who betrayed Jesus Christ and in our human weakness we presume it didn't happen. But it did. And it happens still today. You see, Jesus Christ says He is present in the least among us. This group includes the unborn child. Sometimes all that we have to do is go into a voting booth, in complete privacy, and throw the switch to vote for someone who uses even the power of the highest of elected offices to promote through personal and vocal support, advance through appointed co-workers, support financially and fund through mandated taxes the killing of unborn children when we had a morally acceptable alternative and no one ever knows that we cooperated in a moral evil. Except God. And ourselves. The real tragedy here is that the privacy given to voters should be seen as a protection for doing the good, the right thing, but the recent history of our weak human nature demonstrates that all too often even Catholic Christians have acted in such a way as to worship the false gods of the economy or of the dream of having a president who looks different than all the other presidents we have had or of saying that human sacrifice is ever necessary for some lesser moral good, even for a bit of food on the table. But we are responsible, even in our weakness, for knowing and doing what is right. 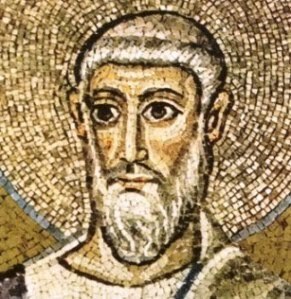 Saint Paul tells us of the promise of God that we may do what is right at all times: "My grace is sufficient for you, for power is made perfect in weakness." At this Mass today Jesus Christ will become present again for you and for me as he was for the villagers of the town where He was born and we will be free to accept or to reject Him as they did. And we will come forward in procession to see Him present under the sign of bread but knowing through the power of Faith that He gives Himself thus as God. Our act of receiving Him in this way will be a sign that we accept all His teachings and commandments as our own way of life. And we will remember that His power is given to us in the Eucharist that our weakness may be the strength of Faith by which we say "Amen", "I believe", and that we may then go forth to act as believers in all that we do for His sake. Photo: Body of Saint Maria Goretti in the crypt church of the shrine dedicated to her at Nettuno, Italia. 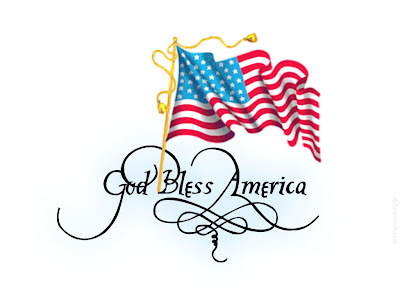 S Anthony Mary Zaccaria: "ask"
Independence Day: "In you and your descendants all the nations of the earth shall find blessing." "I, the LORD, am the God of your forefather Abraham and the God of Isaac; the land on which you are lying I will give to you and your descendants." Feast of Saint Thomas, Apostle: "Unless I see ... I will not believe"
Monday, Week Thirteen: "I will not revoke my word"